Ever found hiring a car on holiday can seem more like playing the lottery? All too often it can seem nothing more than a game of ‘pay your money and take your chance’. And no I’m not harking back to the chap I once hired a car from in Malaysia many years ago who told me ‘you drive careful’ when I asked about the insurance deal…….. Since my Malaysian experience, (and luckily both the car and I made it back in one piece), I’ve hired cars in heaps of places around the world. 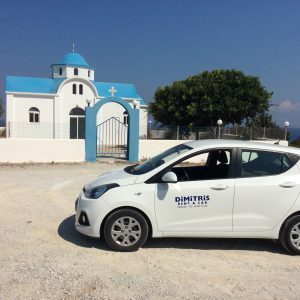 Driving through the backstreets of Marrakech was certainly an experience……..but when it comes to the good guys of the car hire world, I’ve never found anyone who can even come close to Dimitris Rent A Car which is based in Kefalos on the Greek island of Kos. Sadly the world of car hire isn’t always as good as Dimitris and his family, and yes that’s a shot of one of his cars that we hired our last trip. All too often it seems it’s the big players in the world of car hire who can be the hardest to play ball with, especially if things go wrong. The big car hire companies including Hertz, Europcar and Sixt have been told to clean up their act after the CMA, (Competition & Markets Authority), took five of them to task when they were told to be clearer about their pricing and charges. So before you grab the keys and jump in your hire car, here’s my top five tips to save you a bumpy and costly ride. Ok so a trawl through the small print isn’t the most fun thing on the planet especially when you’ve just arrived and want to head for the beach, but a few minutes reading can save you a whole heap of cash in the long run. If you’re collecting your car from the airport, chances are you’ll be given the hard sell on extra insurance. ‘Excess waiver’ is usually the one most companies try and flog and it’s not cheap at around £20 a day. Saves forking out the ‘excess’ if you have a prang, (which with some hire car companies can be as much as £1,000 even for the smallest scrape), so I always buy this before I go. You should be shown round the car and get the chance to point out any damage, but let’s face it, you may not spot every last tiny nick and scratch on the spot. So whip out your phone and take a quick video round the car as proof of the condition it’s in before driving away. Some companies like to bill you for a full tank, which can come with a hefty surcharge, so check the fuel deal as it can be a deciding factor in who you book with. I go with the ones where you’re just asked to bring it back with the same level in the tank. Take the car back on time. If you’re late, you could be billed for another 24 hours. And make sure you know exactly where to park, as if it’s out of hours, there may be nobody around to ask. I once got billed an extra five Euros in Gran Canaria after parking in the ‘wrong’ space at the airport when we dropped the car off at 5am and couldn’t find the ‘right’ parking spot! 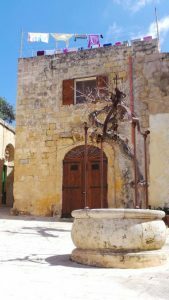 I’ve just got back from a trip to Malta, a place that’s literally bursting at the seams with a rich mix of history, culture and sights. 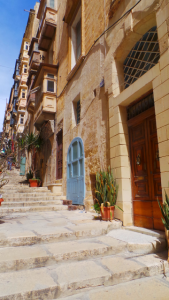 This small archipelago of islands sits between Sicily and North Africa and at times I did feel like I’d stumbled on to a film set as there’s a definite Mediterranean facade combined with backstreets reminiscent of Cairo and Marrakech. Here’s a quick run down of 5 things to do without breaking the bank along with some of my snaps. We were staying at an Airbnb in Gzira, and yes the shot below really was the view from our balcony! 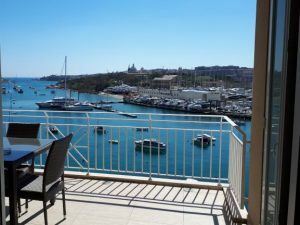 It was a great location as we were just ten minutes walk from Sliema, which is the jumping off point if you want to get a ferry to the Valletta, which is the capital city. 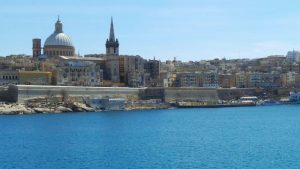 You can of course catch the bus to Valletta but taking to the water means great views plus it’s only 2 Euros 80 return with boats every half an hour and late night crossings during the summer season from June. Loved Caffe Cordina on Republic Street which has been a family run business since 1837 and housed in an old Palazzo. Step inside and it feels like you’ve gone back in time, and from the look of the place you think it might be expensive but, it’s speedy table service and an apple cake and latte only set me back around £5. The buses on Malta are no longer the brightly coloured ones you used to see, so unless you spot a tourist version running a tour, don’t be disappointed if they look very similar to your average bus. But it’s a super efficient service and cheap! Costs just 1 Euro 50 however far you go, even if you change buses, plus you can use your ticket for up to 2 hours. So you could always go for a short hop along to coast to explore some other bays, enjoy a glass of wine and get back from around £1. Fares do go up slightly during Summer, (from June), to 2 Euros. 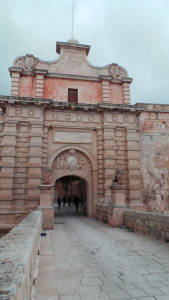 This walled city was the capital of Malta until 1530 and if you’re a Game of Thrones fan you’ll recognise the main gateway into the city. Known as the ‘silent city’ it now houses around 200 residents with tiny restaurants tucked away down tiny side streets. You can get some amazing views across the island from the top of the city walls and it’s totally free to go in and wander round. And buses stop just five minutes away. Lots of people see Mdina and head off but make the time to wander to Rabat where you can go into St Paul’s Catacombs for under £5. However we’re talking trainers for this trip and do watch out as some of the railings down into the catacombs are rather wobbly and the lights go out from time to time so take a torch! As a cheese lover I could happily have eaten these pastries every day of the week and did manage to do so most days for breakfast! Pastizzi are a Malta speciality and a yummy snack of puff pastry filled with goats cheese. Plus they’re super cheap too at under a Euro from most bakeries or street stalls. Tapas Tuesday deals. Plus more for every day of the week! 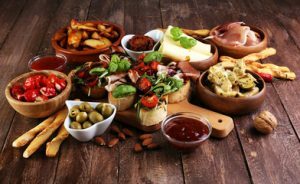 I love Tapas and even the thought of sitting at an outdoor cafe with a cheeky glass of wine with a few plates of Tapas brings back holiday memories. Found a lovely little Tapas bar in Malta last week that was tucked away down a side street. So I thought I’d round up a few of the Tapas deals back home. Lounge bars are great places to go. I discovered one in Devon and been in a couple of others since. As it says on the tin, think ‘lounging’, so squishy sofas, chill time, eclectic decoration and great food and drink with no rush to leave. Every Tuesday from 5pm you can bowl up at your local Lounge and get three Tapas dishes with a glass of wine thrown in for £10.50. Usual price is £3.95 a dish and a glass of wine costs around a fiver so this deal saves you over £6 a time. Fourteen dishes on the menu including Salt & Pepper Squid, Patatas Bravas and Halloumi and Sweetcorn Fritters with Chilli Jam. Another ‘Tapas Tuesday’ deal here, this time from All Bar One who will give you a free bottle of house wine, (worth up to £17.95), when you buy any four small Tapas plates from 4pm. 12 dishes to choose from with prices between £5-£6 a time and 56 bars around the country. Download the loyalty app or get a loyalty card at La Tasca and you’ll get 20% off Tapas. Prices start from under £5 a dish up to around £7 and there’s a big choice on the menu. How about take out Tapas? Pop along to Tesco as it regularly does a Tapas offer where you can snap up 3 dishes for £6. Usual price is £2.50 a dish so that’s a saving of £1.50. My favourites are the mini sweet and spicy vine leaves and the mushroom arancini but plenty of choice with around 30 dishes to choose from. 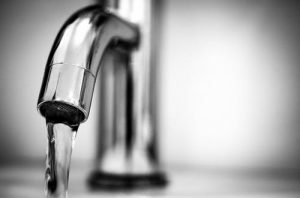 We’re set to see our water bills rise by an average of £8 a year from 1st April so here’s my five easy ways to save money. If you don’t have one, you could save around £100 a year switching according to the Consumer Council for Water As a rough guide, if you’ve got more bedrooms than people in your property, you’re more likely to save. And good news is, if you switch and don’t find bills are cheaper, you can switch back for free. Lots of water companies offer free water saving packs with gadgets to reduce the amount of water used when you flush the loo. Have a chat with your water company to see what’s on offer. Use the ‘eco’ cycle on your dishwasher or washing machine to use less water and try and wait till you’ve got a full load. Swap baths for showers. A quick shower uses half the amount of water and saves around £50 a year if you’re on a meter. This caps bills if you’re on a meter, claim certain benefits and need lots of water due to medical conditions or if you’ve got a large family. Contact your water supplier for details. Why I always carry cash………. There’s been a big debate over the last few days over whether we’ll end up being a ‘cashless’ society. And in an age where we can wave a card to pay for our daily take out coffee, cough up by phone or punch in a ‘PIN’ number do we really need to carry the folding stuff any more? Well I say yes. And carrying cash can save you money too! Dining out on Valentine’s Day may not be great for your bank balance, as you can’t whip out any of the usual vouchers, deals or discounts to knock down the bill. 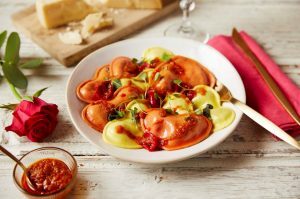 But there are some offers on the table and I’ve been checking out the Valentine’s menu from Bella Italia which can be a real moneysaver. Bella is serving up a 3 course menu with a glass of fizz for £19.99 on its Valentine’s menu. For that you get a choice of 5 starters, 6 mains and 4 desserts, which includes a mix of some of the classic Italian dishes that are also on the main menu along with a few new ones that come with a romantic twist. I’ve done the sums and dining out this way can save you over £10 compared with standard menu prices. Plus it’s not just available on Valentine’s Day, as you can snap up this deal from Saturday 9th February through to Sunday 17th. As well as some of its regular dishes, there’s also specials like heart shaped Ravioli Amore, (stuffed with spinach and ricotta and drizzled with Sicilian red pesto), or heart shaped Bruschetta, (loaded with red peppers, onions and crumbled goats cheese), and a fabulous looking sharing dessert board. Obviously the Valentine’s menu is a fixed price so I’ve done my sums based on the price of some of some dishes that appear on both the Valentine’s and standard menu. Most starters cost around £6, including Calamari and Chicken Wings, which are both options on the Valentine’s menu. Mains are usually around £12 upwards and once again there’s a couple of the standard menu classics like Pollo Funghi, (grilled chicken breast with creamy mushroom sauce), and Polpette Americano, (spaghetti & meatballs in a spicy sauce), on the Valentines’s menu. Desserts come in at around £6 a pop on the usual menu including Tiramisu, usually £5.99 and Sicilian Lemon Cheesecake, usually £6.19, that are also on the Valentine’s Menu along with a special ‘Quattro Dolcetti’ sharing board, (pictured on the right!) , which is for two people. So tot up your 3 course meal and by the time you add in a glass of fizz, (standard price £5.99 for 125mls), you’re looking at over £30 for three courses with fizz so worth going for the deal at under £20!